The Thursday Interview: David Wind. 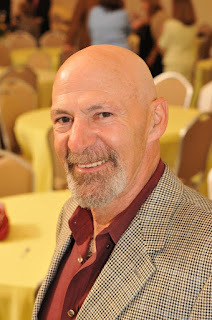 Today, I'd like to welcome David Wind, author of “TRINITY” to The Thursday Interview. Before we get started, a quick intro! David Wind has published thirty-eight novels including Science Fiction, Mystery and suspense thrillers. He lives and writes in a small village about thirty miles upstate of NYC, and shares his house with his wife, Bonnie and dog Alfie, a sub-standard poodle. This is definitely a time of occurrence decision, but depending on the circumstances, most likely yes. Why? The why is the truly difficult question. As I said, all depends on the circumstances, the nature of the incident, and the overall need for action. Unjustifiably taking a life is one crime I cannot see myself breaking the law for, in order to save a loved one. While I say this easily in theory, I know very well that if ever the time comes, my response will happen, and whatever it is, I can only hope it will be the right one to protect my loved one, no matter the situation, without causing harm to another loved one, or others if possible. Everything, which is the easy answer…Actually, for me, this is an extension of question 2. The overall answer is that writing makes the difference between my going through life, and my living a life in a way that makes me feel and understand what makes the world work; watching children play, seeing lovers walk through a park, and letting my imagination create stories, situations and worlds where these people exist in different ways. Sitting in an airplane, looking at the people and creating lives for them that turn into novels is part of my motivation. To be open, I don’t pretend to be an intellectual when it comes to writing, I want to give my readers what I always found as a reader—an escape into another world, be it a science fiction or fantasy novel, a mystery, a thriller, a historical, or a romantic adventure. Entertainment for the mind! After having three of my own, and to be absolutely honest, I’m damned if I know. All I can say is that after years of spending tons of money on these little creatures, years of worry and concern, anguish and heartache, one day you turn around and see them as real live adults and you smile and say to yourself, I did good! 5. What was the biggest challenge in creating your book TRINITY? There are so many things I could point to, but they all boil down to two basic thoughts: take responsibility for your own actions; and, take nothing and no one you love for granted: it and they may not be there tomorrow. 7. 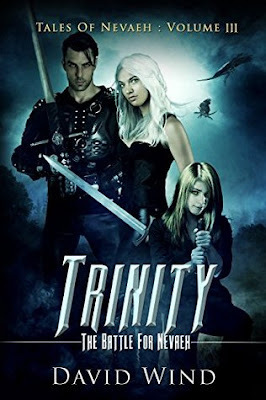 How did you come up with the book title TRINITY? It wasn’t until I was more than halfway through the book, when I wrote a line that stood out at me. When I re-read it, I knew I had my title. The same thing happened with book I, Born To Magic. There was a scene in which the leader of the High Queen Of Nevaeh says to the heroin, “Born to magic were you both.” And there was my title. Not well: but it depends on the personal criticism and if the criticizer knows me or not. If the person knows me, I usually get defensive and then, after a little while, think about it and see if he or she is right in what they say. If I don’t know the person, how in hell can he or she criticize me on a personal level since they don’t know me, which means they are making a snap judgement. If it’s about one of my books, everyone (who has read it) is allowed to have an opinion, that’s what reviews are for. 2: Because it’s exactly what it is supposed to be, a sci-fi fantasy that takes you away from the everyday mundane aspects of life and puts you in a grand adventure that has nothing familiar, yet it feels as though it is very familiar. 3: Because it’s relevant to what’s happening in the world today, as far as the effects of terrorism are concerned, even if it is set 3000 years into the future. 4: Because it does away with the stereotypes we are used to and gives you new stereotypes to get used to. 5: Because it’s my 38th book and why wouldn’t everyone read it? If there were nothing, we would be nothing, so how would we know if something might exist other than nothing? Then again, if we were nothing, how would we even think? Concluding the opening Trilogy of the Tales Of Nevaeh series, Areenna of Freemorn and Mikaal of Tolemac bring together the ten dominions for one last battle against their ruthless enemy. The Dark Masters threaten to annihilate the Nevaens, wiping humanity from the face of the earth, unless Areenna and Mikaal can find the mystical power that is Nevaeh’s salvation. To save their world, and their people, they must go where no one has gone for 3000 years: below the Island—deep beneath what used to be Manhattan. As the days grow darker, they search to find deliverance for their people, and become what has been prophesied—the Trinity of power. To accomplish this, they must first discover the third pillar of their powers. Time is running out. Can they build the Trinity in time to save humanity from extinction?